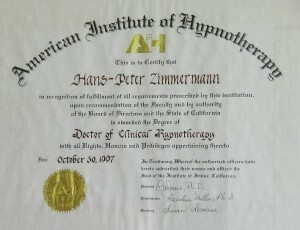 Since I don’t have a U.S. work permit, I am not allowed to offer my hypnotherapy services to U.S. prospects. This paper explains quantum physics in simple terms. Then Deepak Chopra’s assumptions about the connection between quantum physics and healing are discussed. The latter in a mildly skeptic manner, especially in the second paper about this subject. Further critical dispute on Quantum Healing. With an explanation of Transcendental Meditation and a critical discussion of it. Towards the end of the paper, a more distinct critical position towards some of Chopra’s theses or at least his ‘pseudo-scientific’ approach becomes inevitable. This paper discusses pain and a classification of pain. Besides, specific pain situations such as pain with cancer or pain in obstetrics are delineated. It is described how experimenters produce artificial pain for testing, and what the boundaries are of objective measurability of pain. Finally, it delivers a treatise on chemical and psychological pain management methods. This paper begins with the history of hypnosis. However, US sources have turned out to be inaccurate at times. For this reason we recommend this more detailed and better researched history of hypnosis (in German). The paper continues with neurological models of hypno-anesthesia, compares chemical and neurological methods of anesthesia to hypnotical ones and closes with a hypnotic pain control script. The paper starts with the controversial debate as to whether a “typical cancer personality” exists. It underlines the multifactorial cause of cancer and the derived demand for therapy at several levels. In particular, the relationship between stress and cancer is being investigated and substantiated on the basis of a personal case study. A skeptical examination of the cancer-theses of Rieke Geerd Hamer M.D. wraps up this paper. This paper begins with an explanation of the nervous system and the question whether the term “autonomic nervous system” is a misnomer. Next, Sigmund Freud’s concept of “subconscious” or “unconscious” is being compared with the concept of “unconscious” in modern hypnosis and NLP. Moreover, the paper deals with the current state of biofeedback research, the description of the placebo effect, psychosomatic medicine and the relationship between guided imagery and hypnosis. This paper begins with guided imagery techniques and their impact on personal success. Furthermore, the use of visualization techniques in various clinical situations are discussed. Finally, the historical development of theories of pain, a treatise on headaches, an attempt to integrate the chakra theory into the theory of pain, and a discussion of pain control methods in rehabilitation medicine. This paper deals exclusively with the book “Clinical and Experimental Hypnosis” by Dr. William S. Kroger, which first appeared in 1963 and is a classic in the literature of hypnosis. It explains basic concepts and different explanatory models of hypnosis. Finally, the paper treats the use of hypnosis in various medical disciplines. This is the second paper, which deals with Kroger’s classic book. We are talking about misconceptions that patients may have of hypnosis, and how hypnotherapists can handle them. Furthermore, the attitude of different religions towards hypnosis is being investigated. To conclude, the paper provides a comparison between psychoanalysis and hypnotherapy. Highlights: HPZs example of how to reframe a “control freak”. Script for a group hypnosis session, which can be used in super-learning seminars, even with a skeptic audience. The paper delivers further details of the theory of hypnosis, including Dave Elman’s field of expertise, “hypno-anesthesia”. This paper begins with a classification of psychology and the attempt to integrate hypnosis. Other topics are hypnotic language patterns and everyday trances, which can even be applied by therapists who do not officially offer hypnotherapy. It also explains what a “paradoxical intervention” is , and the use of “convincers” is discussed. The paper ends with a critical comment on the superficial workings of Hoorwitz, whose book “Hypnotic Methods in Non-Hypnotic Therapies” was the main source for this paper. This paper deals extensively with indirect suggestion techniques using metaphors based on the work of Milton Erickson. Amusing and useful highlight: HPZs case study of a frog phobia which has been cured, using the meta-model (chunking down). Another highlight: Reframe with a man who believes to be unsuccessful. Apart from a few observations about the effect of laughter on the endocrine system and thus on physical health, this paper is not too interesting. Seminar leaders, however, may find a few techniques they could use as “ice breakers”. For those who have not attended HPZs former sales seminar, this is a rough answer to the question of what was so “different”. The most important overt and covert hypnotic techniques are explained, in favor of better and faster learning. We are sorry some of the older graphics could not be retrieved, and the layout has suffered somewhat during the conversion from the old format. This paper discusses the use of Suggestopedia and hypnosis techniques in HPZs former time and information management seminar. This paper begins with an explanation of stage hypnosis and then discusses various aspects of auto-hypnosis. A not very scientific-looking paper, but perhaps with one or the other useful tip for practitioners of hypnosis and goal-oriented people. A general overview of the field of Neurolinguistic Programming (NLP). Particularly useful is a summary of filters, which generalize, distort and erase external stimuli, and therefore are responsible for our subjective perception of reality. Summary of a seminar with Richard Neves, a lecturer at the American Institute of Hypnotherapy. Integrating NLP techniques into hypnotherapy, with many case studies. The paper starts with a detailed explanation of the nervous system and, on the basis of several seminars and scripts from the NLP Summer Convention of 1997, an attempt is made to localize one or the other hypnotic process physiologically. The paper concludes with a brief overview on the legal situation for hypnotherapists in the United States. This paper on Stanislav Grof is the prelude to the papers from the transpersonal realm. Grof ‘s life purpose is to explore unusual states of consciousness or “expansion of consciousness”, initially produced by drugs, and later through breathing techniques, or caused by mental disorders (such as psychosis) and in exceptional situations. 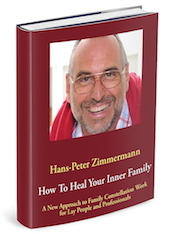 Roger Woolger is a Jungian psychologist who stumbled over past life therapy by accident. In this paper his views are discussed, including different explanatory models for “memories of past lives” as well as the attitude of the Christian Church on this issue. Several cases of past life therapy wrap up this paper. This paper first discusses different techniques of how to produce hypermnesia (enhanced recall of memories) in past life therapy, with practical case examples. It further deals with nightmares and “deja vu”, and a comparison of past life therapy with other therapies such as behaviourism, psychoanalysis, Jungian analytical psychology, logo therapy, primal therapy, Adlerian individual psychology, transactional analysis, gestalt therapy, focusing, neuropsychology, hypnotherapy and rebirthing. Winafred Blake Lucas, a Rogers-student of the first hour and a friend of HPZ’s (died in 2006, at the age of 95), has put together two large volumes with all the techniques used by internationally-renowned regression therapists. This paper deals with several approaches in regression therapy, with (anonymised) case examples from HPZs practice. Experience report from a Huna seminar in Kona, Hawaii, which not only explains some of the principles of Huna philosophy, but also talks about the dichotomy a “healthy skeptic” like HPZ must experience in such a seminar. The original Time Line Therapy, as taught by Tad James, and comments by HPZ on his improved version. The techniques as described in Winafred Blake Lucas’ books, applied in practice and supplemented with William Baldwin’s Spirit Releasement Therapy.